MasterclassBudapest Soloist Academy is a unique opportunity, first of it's kind, for young, emerging violin students and young professionals from all over the world. Participants can try out and practice the demanding task of being a Soloist in front of a symphonic orchestra - communication with conductor, musicians and audience. Daily sessions with orchestra, recorded on video, are combined with individual lessons, where the participants receive immediate feedback, technical and musical advice. The course concludes with a final concert, where the participants can demonstrate their abilities for the public of the “Klassz A Parton” festival. The Soloist Academy provides daily sessions for only 6 selected participants with the renowned Danubia Orchestra Óbuda in Budapest, over 100 minutes of podium time under the guidance of two internationally acknowledged coaches, Gian Paolo Peloso (Italy/Hong Kong) and Maestro Huba Hollókői (Hungary/Finland). Alongside the orchestra sessions, participants will receive individual violin lessons, also lectures about the basics of conducting and about how to plan a CD project, a master recording and offer it to CD labels. For more information, please check Conditions. The application period is now closed. The selection will take place during the next two weeks. Applicants will be informed by email about the decision. Application period: 31. 01. - 31. 03. 2019. Please, submit an online application. 6 participant will be selected, based on the application material by 15. 04. 2019. The Soloist Academy will be held in Budapest, 22-27. 2019. A variety of Violin Concertos and short pieces for solo violin and orchestra, including Bach's, Mozart's, Bruch's, Mendelssohn’s Violin Concertos, Saint-Saens: Introduction and Rondo Capriccioso, etc. Final program will be decided together with the participants. 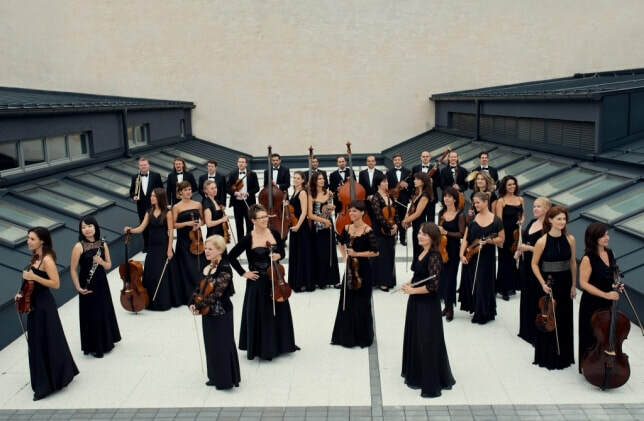 All 6 participants will perform on the Final Concert, together with Danubia Orchestra Óbuda, conducted by Maestro Huba Hollókői, on a representative concert at the “Klassz a pARTon” Festival, at Hungary’s biggest lake, Balaton. Rehearsals with orchestra, lectures and individual lessons will take place at the rehearsal hall of the Danubia Orchestra Óbuda (Address: Flórián tér 3, Budapest).